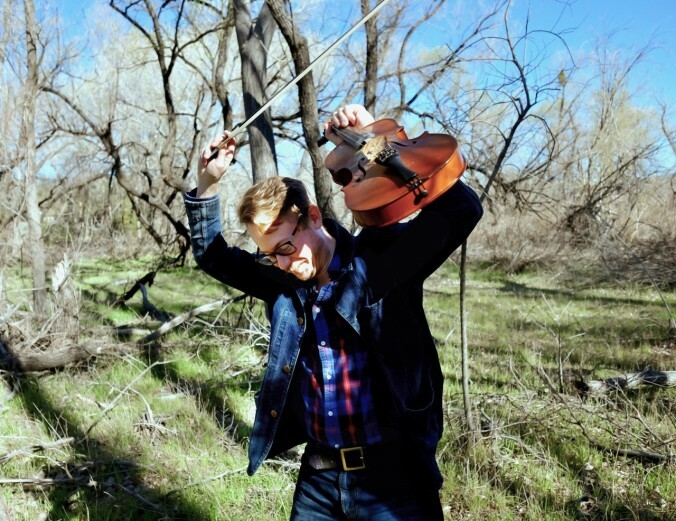 Clinton Davis is an old-time folk musician based in San Diego. A fifth-generation Kentuckian, Davis grew up in Carroll County with faint residues of old time music lingering in the air and in his family’s past. He currently performs on guitar, banjo, fiddle, harmonica, mandolin, and piano. He has performed at folk festivals across the country including Wintergrass (WA), Port Townsend Acoustic Blues Festival (WA), National Jug Band Jubilee (KY), Brooklyn Folk Festival (NY), the Topanga Banjo & Fiddle Competition (CA), and the Santa Barbara Fiddler’s Convention (CA). In 2015, No Depression called his work “a joyous and soulful restoration of one of the lost treasures of American musical tradition.” That same year, his album with the G Burns Jug Band was awarded “Best Local Recording” at the San Diego Music Awards. Davis is a prize-winning banjo player and official artist of the Deering Banjo Company. In 2017 Davis and Deering partnered with San Diego’s Center for World Music and the San Diego Music Foundation to launch their “Banjos in the Classroom” program, which brings group clawhammer banjo lessons to San Diego’s public schools. Davis curates the Southern Pacific Sessions, a concert and video series in La Jolla which aims to help cultivate the next generation of audiences for traditional music in San Diego and Southern California. In 2016, Clinton earned his Doctorate in Music at the University of California, San Diego where he served as an associate instructor, leading a survey course in American roots music. He also worked as assistant audio engineer, producing recordings for students and faculty that have been released on Naxos, Mode, Populist, and pfMentum record labels.